The Mixed Marvel Arts Podcast chills on its couch and enjoys the return of Agents of S.H.I.E.L.D. Brian and Shaun welcome the return of fall television, including Rick and Morty, South Park and Gotham. A new season of the Fantasy Comic League kicks off with a new, fourth participant and the duo unveil the starting teams. Brian and Shaun also check in on the “Secret Wars” event and speculate on the value found in the tie-in comics. 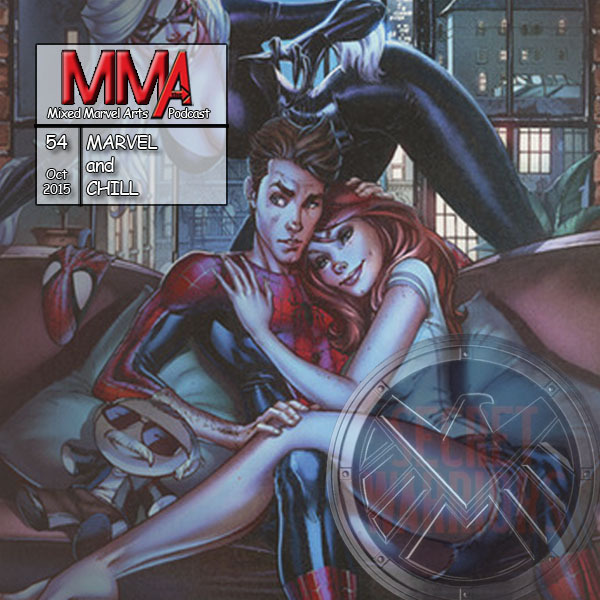 Episode artwork: J. Scott Campbell, Renew Your Vows #2 Variant cover.